Congratulations to Coach Haywood and the Lady Warriors bowlers for being AAC Co-Champs with Champion. 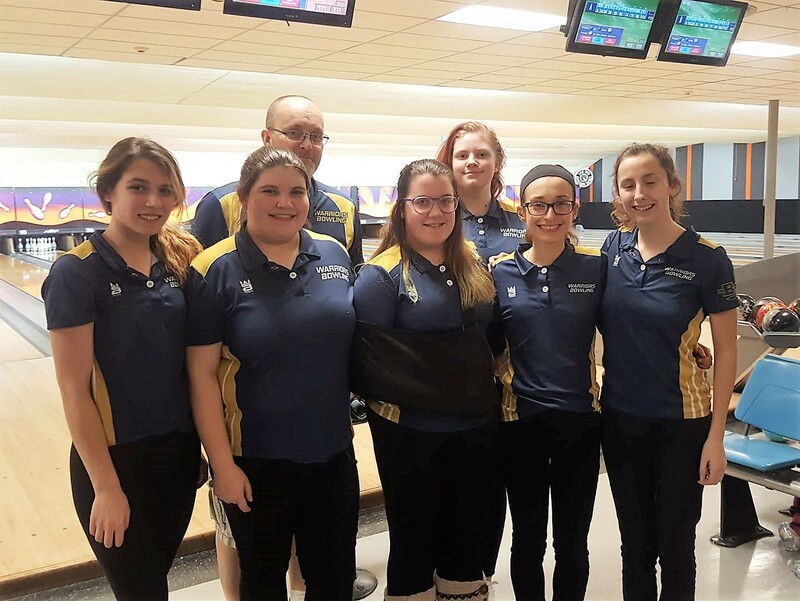 The Warrior bowlers, both girls and boys finished 8th of 15 teams in the sectional tournament held at Freeway Lanes on Sunday, Feb. 10. Junior Emilee Bebech finsihed 9th overall out of 86 competitors and will advance to the district competition Sunday, Feb. 17 at Buckeye Lanes in Lorain. Senior Shawn Hitt was 7th overall out of 88 bowlers, including a very impressive 214 in the final game, and will also advance to districts on Monday, February 18th at Buckeye Lanes. The varsity bowling squads won their final home match of the season. The boys squad rolled their highest score of the season in the 2169 - 1369 victory over Campbell-Memorial. The boys were led by Shawn Hitt with a 381 series to lead all bowlers. The girls held off a late Baker charge to win 1752 -1710. Emilee Bebech rolled a 302 series to lead the way.